Here in Seattle, there's just beginning to be a slight nip in the air, but only in the evenings. It's not quite autumn yet, but I find myself ready for a little something to keep warmer yet. I'm not ready to abandon my beloved sundresses or walk around in a coat just yet though. 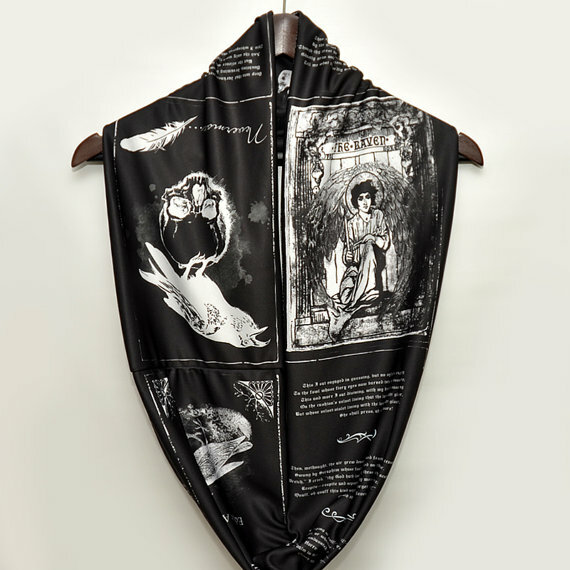 So tonight I'm perusing these Edgar Allan Poe themed scarves, tempted to purchase one, if only I can choose between them. 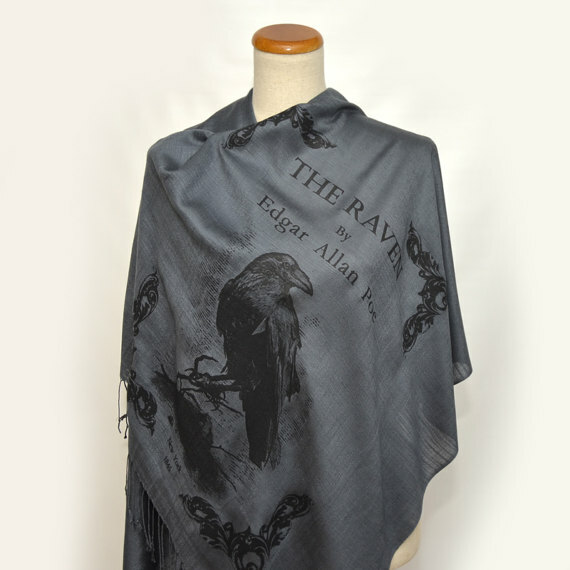 I'm really tempted by this Edgar Allan Poe scarf because it's a shawl style - much more covering. And to me it looks quite elegant! Here's the shawl in beige, too (a color I wouldn't personally choose to wear). 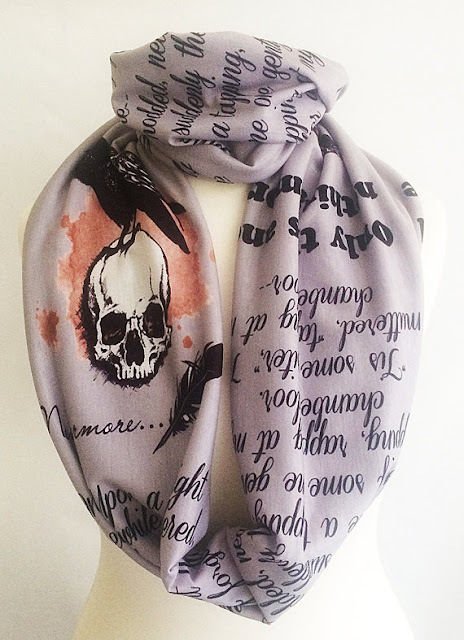 This is an Edgar Allan Poe infinity scarf. 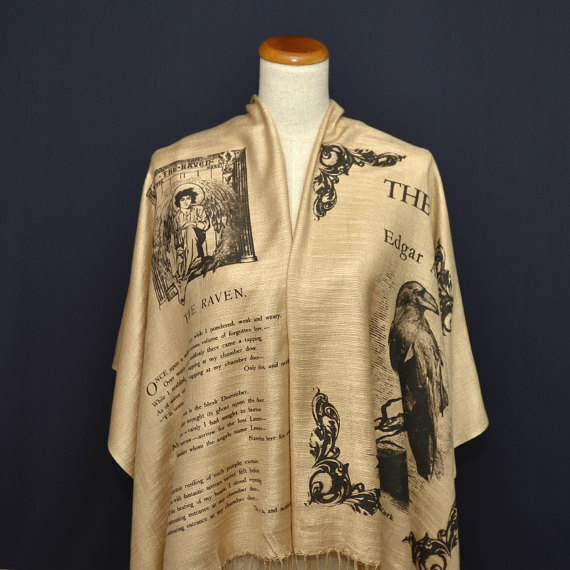 It wouldn't keep me quite as warm as one of the shawls above, but I love that it uses some of the original book illustrations. 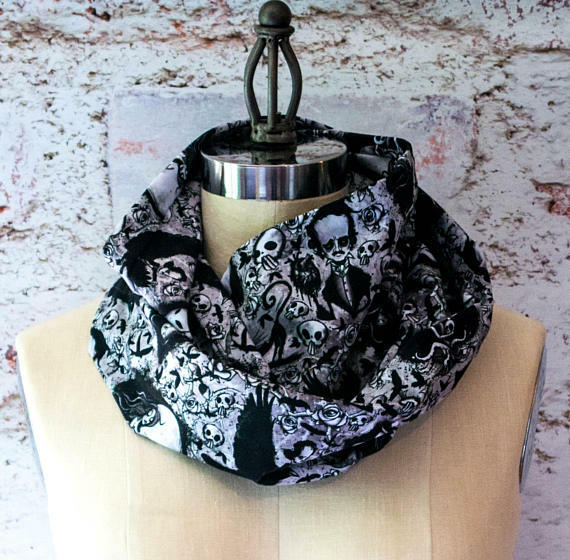 I love this cartoony Edgar Allan Poe with Cat and Raven scarf. I wonder if the fabric is available on Spoonflower. 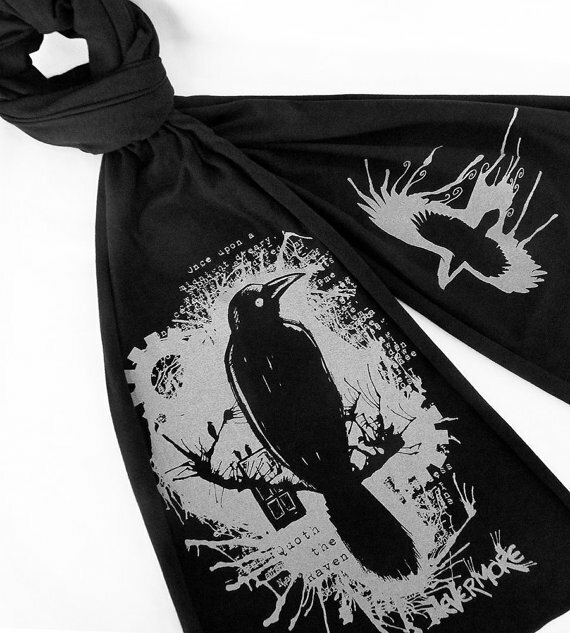 Perhaps I'll choose this nice simple black raven scarf with just "Quoth the Raven" in faint text. Which scarf would you choose? Let me know in the comments below.